12 Casual and Fun Dresses for Summer 2015! My Top Favorite Best Casual, Cute and FUN Summer Dresses for 2015! With summer comes summer dresses for us girly ladies! This summer is all about bold colors, flower prints and cool designs! I found a few of the cutest, most fun and super girly dresses for summer being sold already! I am very excited to be able to show them off here on my girly site! I can’t wait to get a few for myself as well! Are you ready girly fellows? 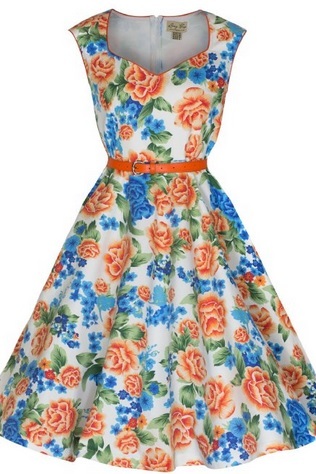 *By the way, how absolutely GORGEOUS and adorable is this cute and girly 50’s vintage style floral summer dress? I want this one for myself!! Vintage is definitely back ladies! Don’t be afraid to wear one of these! It’s very feminine and romantic! Cute Floral Dresses for Summer! Remember girly ladies: flowers, flowers and flowers! Cute floral dresses are in! They are fun, feminine and can make women way more gorgeous! 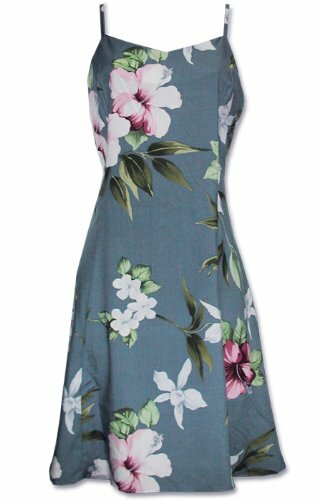 This is a beautiful blue floral summer dress for sale! 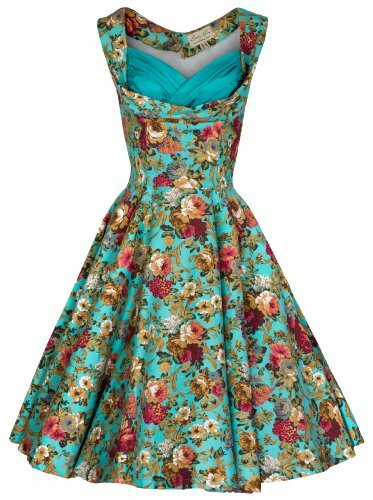 Gorgeous Vintage Floral Dresses for the Summer! Are you about to faint too, girly ladies? Another gorgeous and adorable girly 19050’s style floral dress for sale! It is too cute for words! Will make any woman, no matter her age, feel young, beautiful and innocent wearing this! It’s made of cotton, so it fits very well and very comfortably! It’s available in ALL sizes and it is cheap!! Cute Long Floral Summer Dress for Tall Women! I am not a tall woman at all, as a matter of fact I am very short, at only 5’1″, so unfortunately I cannot wear long dresses like this one because they make me look even shorter! But if you are a tall girly lady, this beautiful long floral summer dress is perfect for you! What is great about this dress is that it is elegant enough to wear at night as well! Cute and Girly Mini Sundress for the Summer! Is it me or does this cute and girly floral dress scream summer? It’s made from 100% rayon (one of my favorite fabrics!) so it is very flattering! I love this color, but you can also get it in black floral or white! Another great summer dress to wear day or night! Very Flattering Girly Floral Dress for the Summer! Are you looking for a comfortable and flattering casual dress to wear either during the day or night this summer? How cute and adorable is this very girly floral summer dress? It is made from 100% polyester, so it is very light and very flattering too! It is the perfect summer or spring dress for any occasion! The bottom part is just the right height! Not too short that would make you uncomfortable, and not too long, in case you are a short girly girl like me! Just pair it up with your favorite summer or spring sandals! Cute Floral Spring and Summer Dress for Girly Ladies! Another cute and very girly, fun summer dress with blue and green flower prints! Just by looking at it it makes you feel happy! It looks like a beautiful spring garden! This dress is perfect for girly women of all ages, young or old! We all want to feel beautiful and feminine, no matter how old we are! 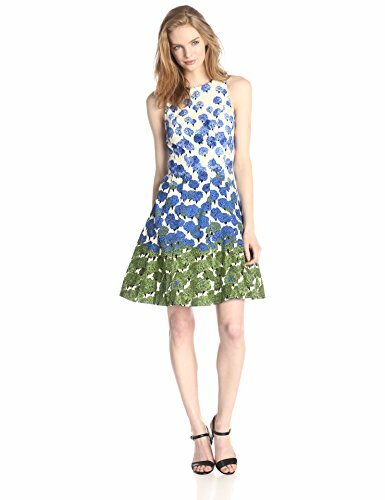 I love this fit and flare style, it is very flattering and I also love to wear sleeveless dresses during summer. They are very light and perfect to show off your beautiful tanned shoulders and arms! You can wear it with a cute and classic pair of black sandals, just like this young lady in the picture, or white! You will look very pretty and feminine! A super fun and happy colorful floral dress! I love this cute and simple design and the cute belt in the middle! It gives this dress an air of sophistication! 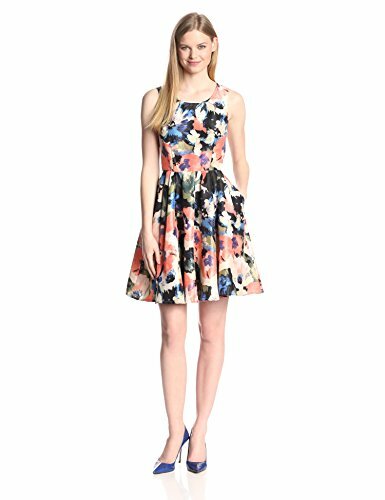 Beautiful Sleeveless Fit and Flare Floral Dress! Are you looking for a beautiful but affordable floral summer dress for sale? This is the perfect sleeveless girly floral dress to wear for the summer, day or night! The colors are beautiful and the flowers are very pretty! It is very affordable as well, but it still looks elegant! I love the cute and girly vintage-style ‘loose’ bottom skirt! Whichever way, I think you are going to have a lot of fun wearing this floral dress! Fun Sleeveless Orange Dress for the Summer! Bright orange is also a perfect color to wear during summer! It’s happy, vibrant and just beautiful! Use and abuse of bold colors this summer! It’s the perfect ‘mood lifter’! This is a beautiful, simple and classy 100% cotton sleeveless orange dress for sale! Great to wear anywhere, anytime! It’s also available in yellow if you prefer! Fun Colorful Polka Dot Dresses for Sale! Women’s 50’s Retro Rockabilly Polka Dot Halter Dress in 4 Fun Colors! What can be more fun than polka dots this summer? This very cute and girly fun polka dotted dress is available in 4 beautiful different colors! Just pick your favorite one! It is also very cheap! I love this girly design! 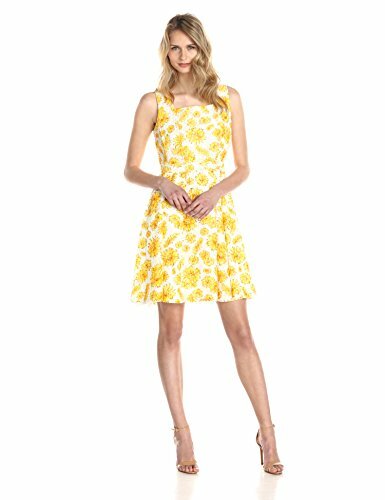 Sweet and Happy Yellow Flowers Cute Women’s Dress! 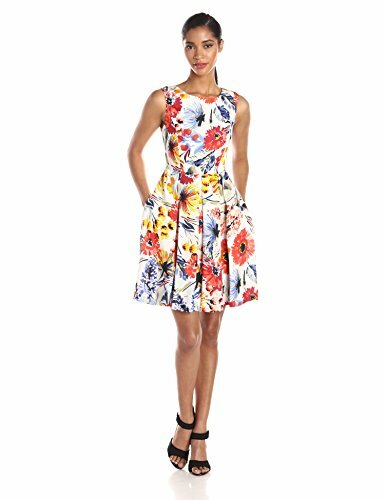 Women’s Sleeveless Daisy Print Summer Dress! It spells sun and fun! It’s very sweet and feminine! It has a very cute and girly design! Perfect summer dress for when you want to look absolutely adorable and innocent! Will look great with a pair of white platform sandals! *I hope you enjoyed my selections of fun summer dresses!